Zeco company was founded in the 60s with the aim of responding to the needs of technological innovation in the area of Vicenza. After developing projects and technologies for the textile industry, ceramic, hydraulic, the company specializes in the construction of turbines assuming a ‘very specific identity and appearance. 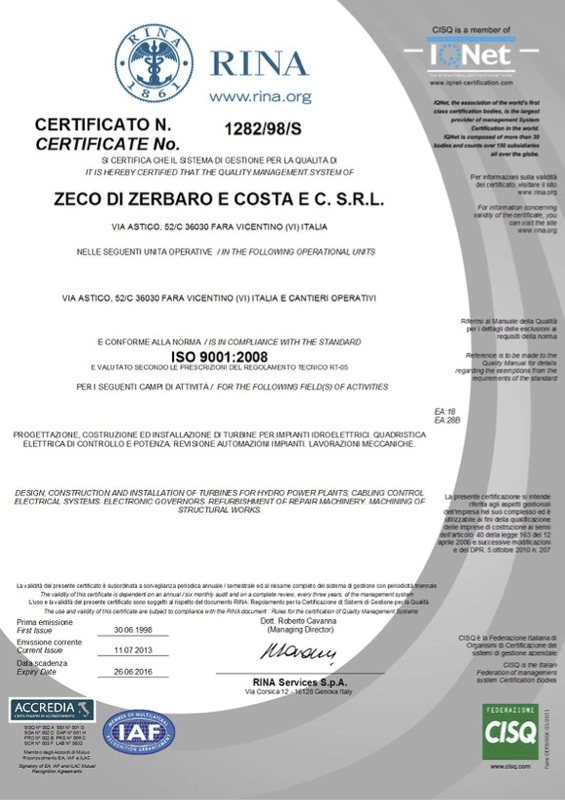 Since then Zeco produces turbines for hydroelectric power plants and, as now, focuses its attention on the customer’s needs by offering a complete service from design to manufacturing process control and product, installation, after-sales service point strength of the company able to assist its customers 24 hours 24 throughout the year. Zeco presents itself as a group structured but highly integrated and independent companies are able to offer individual services and products complete “turnkey”. With the experience gained in years of activity and the initial idea that determines its corporate philosophy, Zeco faces international markets with increasingly complex and large projects developed in harmony with the surrounding environment. The company works in cooperation initiatives for rural electrification in developing countries. Before being shipped, all the machinery and systems produced by Zeco are tested in our factory, guaranteeing reliability and compliance with the Customer needs. 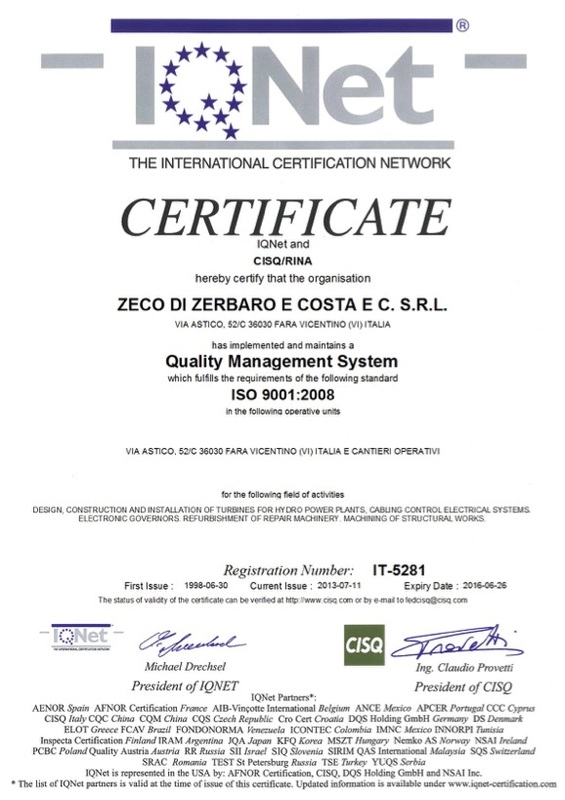 The guarantee of a continuous quality improvement, in accordance with the “International Organization for Standardization” (ISO 9001:2008) is IQNet (International Quality System Assessment and Certification Network) and Rina certified.